6 hours of coverage covers the time leading up to the ceremony through when the dance party starts beginning at the reception. I recommend this if you're not about getting ready photos. We'd do all of your photos during cocktail hour, but you would have a limited time to spend mingling with guests on the lawn. 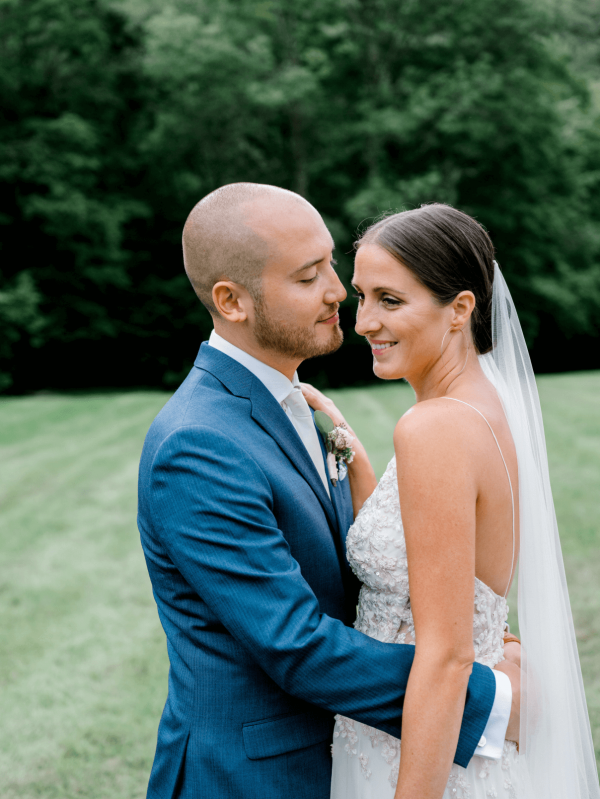 As I described in my email, 8 hours of coverage is the perfect amount of time to capture the full story of the day from start to finish -- the beginning of getting ready until when the dance floor starts to get lit. You won't have to worry about squeezing photos into your timeline and will have more flexibility, candids of your guests, and details. Coverage of the day of and the activities isn't just about extra photos. Full Moon is such a special place because everyone hangs out on site together. Because these pre-wedding activities are usually your closest friends and family, it's often when we capture the best moments and candids because of the more intimate setting. We also recommend allotting 15-20 minutes during the celebrations for a mini photo shoot of the two of you. Not only is it a good warmup before the wedding, but capturing you two at all the different stages (and emotions!) of the weekend is extra special to have when it is all said and done. In short, a second photographer allows us to be in two places at once. First Look not your thing? No problem. We'll be able to do your photos after the ceremony while the second photographer will be floating around cocktail hour grabbing all those good candids of your guests. Getting ready in separate locations and want both of your crews captured? We'll tag team so you have photos of both of you pre-ceremony. You can always add on at a later time once you have a better idea of logistics and timeline. A second photographer is a $600 add-on. Marcy and Chris invited 120 of their family and friends for a summer Sunday wedding. Bridesmaids and groomsmen got ready in neighboring cabins before a First Look and couples photos around the property. Their ceremony was under a tent because of heavy rains the day before and Marcy was disappointed to not have the outdoor ceremony they always envisioned. 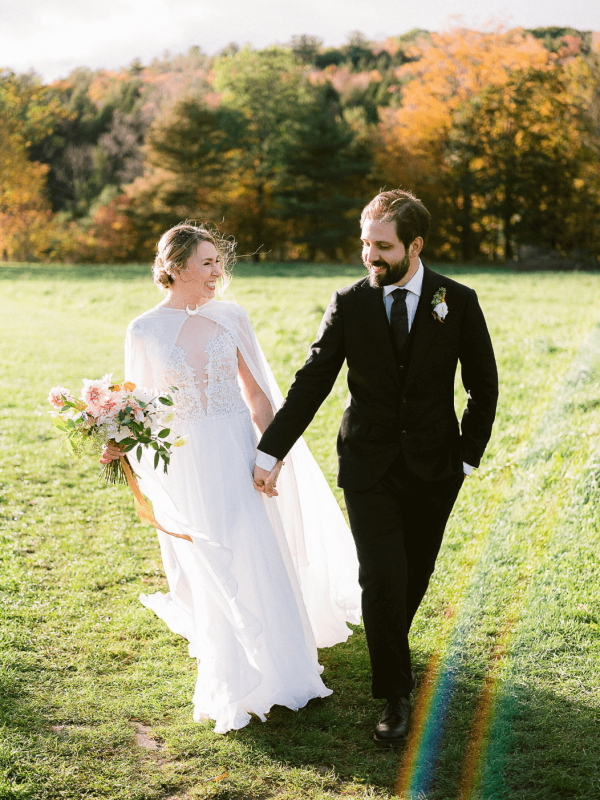 I thought of the idea to have their guests follow them after the ceremony into the field, where we gathered them in a circle before the couple popped champagne and everyone threw confetti on them. After doing family photos and signing the license, they joined their guests on the lawn for cocktail hour before dinner and dancing indoors all night long. 10 hours of coverage, 2 photographers. Katie Jo and Kyle did not want to see one another before the ceremony, so Katie’s getting ready with her family was photographed while Kyle helped set up at Hayfield. 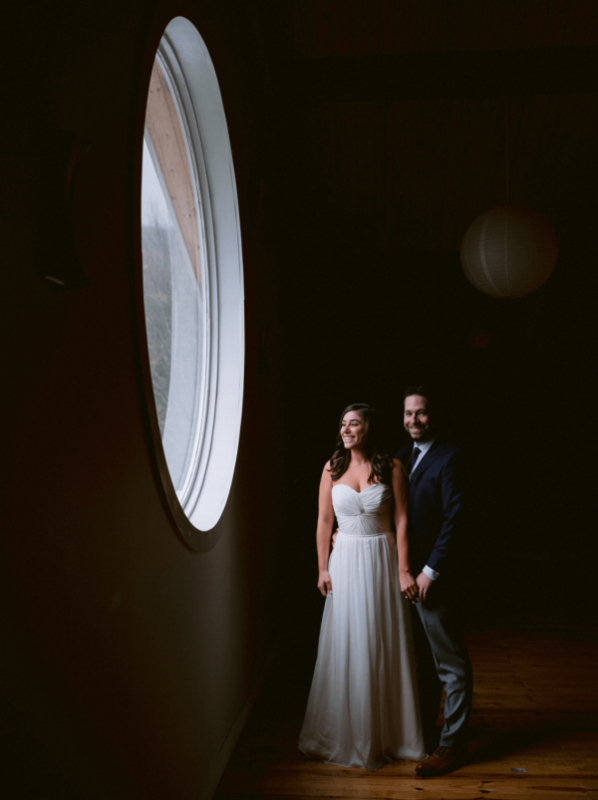 It sleeted, snowed, and rained all day but the skies cleared just as guests began to arrive. When Katie came out to the ceremony, a rainbow appeared. “I knew she was a witch,” Kyle said. All of their photos were done during cocktail hour and they even had time to mingle while Kyle’s best friend performed the ukulele. Not ones for being in front of the crowd, they did a short first dance before a family style dinner + toasts from close friends. When the DJ got on, guests danced, sat around the firepit, and partied away in the middle of the woods. 8 hours of coverage, 1 photographer. Their guests gathered under the tent for some of the most beautiful vows I’ve ever heard before heading into the barn for cocktail hour, and then Rachel and Jason threw down an epic dance party with some cool lighting and lots of yummy food. 9 hours of coverage, 1 photographer + assistant. Don't get me wrong, everything they document is colorful, beautiful, magical, but it's also precise. It tells a story. Their photos are like living, breathing things. On top of that, the Wilde Scout team is a joy to be around. They're energetic, fun, highly professional, and calming. When hiring vendors you want to choose someone who is on your team, who feels like a super prepared BFF. They are this.